There are likeable and unlikeable characters in fiction and Ben Stephens is one of the latter, although it wasn’t always that way for me. 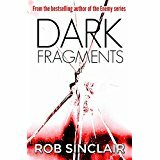 At the beginning of Dark Fragments we meet a family man who dotes on his children and loves his wife. 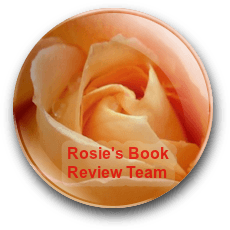 Quite rightly Ben is still grieving the death of his first wife, Alice, the love of his life, who, now being dead, is lifted up to the level of sainthood which must be difficult for the second wife, Gemma, with whom he was having an affair while Alice was alive. And it is here that the first of the cracks starts to appear. When Dani, Ben’s estranged twin sister who is a detective and was Alice’s best friend turns up out of the blue and starts asking questions the strain deepens. Ben works for Gemma’s father which is another source of pressure and he has also become involved with a local gangster in some dubious business venture and now owes him a lot of money. The initial sympathy I had for Ben didn’t last long as he began to show his true colours. He makes some terrible decisions and it soon becomes apparent that he does whatever suits him, no matter what the cost to others. Throughout the story there are chapters where Ben is talking to someone else and these conversations clearly show his lack of taking responsibility for his own actions, blaming everything and everyone around him for the situation he finds himself in. This is a fast moving and suitably violent thriller which I highly recommend. I received a free copy of this book from the author but this has not influenced my review one iota.